A ground-breaking community energy scheme, which enables residents to generate, store and use solar electricity, has been officially switched on in Nottingham by the Rt. Hon. Lord Henley, the Parliamentary Under Secretary of State at the Department for Business, Energy and Industrial Strategy (BEIS). SmartKlub are the Community Energy Service Company (ESCO) innovators on the University of Nottingham-led project, situated at Trent Basin, a 250-acre brownfield re-development of 500 low-carbon homes under construction on the edge of Nottingham city centre. 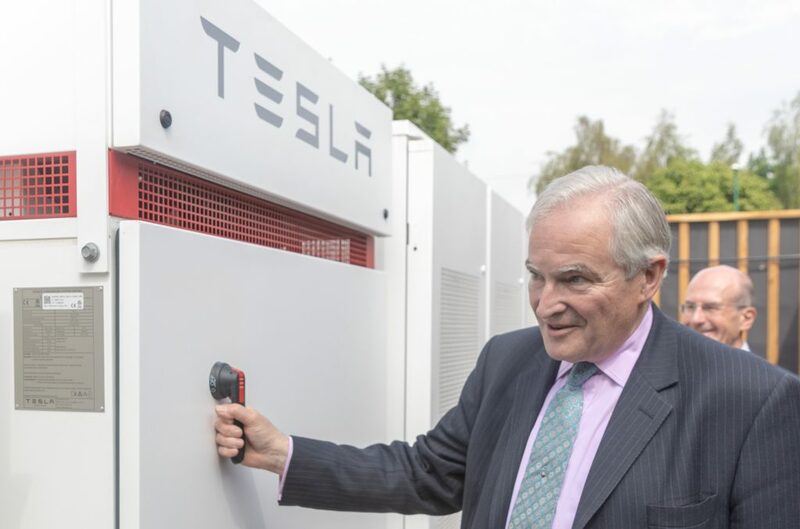 The research project boasts the largest community energy battery of its type in Europe, which is supplied by Tesla. It can store 2.1 MWh of energy, delivering 500kW of power. The battery and solar farm were switched on Friday June 1. The innovative ESCO has been setup using ground-breaking business models to manage the energy assets and provide energy services to its residents which includes storing and selling locally-generated energy to the grid at peak times. Profits made by the ESCO will help to cut energy bills for residents who opt in to join the scheme and vote on its directoin and share its benefits. Accelerator (ERA) and Project SCENe (Sustainable Community Energy Networks). A consortium of partners has come together to deliver the scheme, including the developers Blueprint, AT Kearney, SmartKlub, Siemens, URBED, Slam Jam, Sticky World, Loughborough University, Solar Ready, with support from Nottingham City Council. Dr Derek Allen, Innovation Lead for Energy at Innovate UK, added: “The Trent Basin project is an excellent example of bringing innovative business models and technologies together to provide clean, affordable energy to local communities. As the UK looks to move away from large centralised power generation, we hope to see more of these types of localised, integrated low carbon systems roll out across the country. It is particularly encouraging to see the range of innovative Companies working together with the community to deliver this projet. For details of the Community Energy scheme at Trent Basin, visit www.projectscene.uk .